AVI to DPG: How to convert AVI to DPG, watch AVI video on Nintendo DS? How to convert AVI to DPG, watch AVI video on Nintendo DS? The Nintendo DS (sometimes abbreviated to DS or NDS) is a dual-screen handheld game console developed and manufactured by Nintendo. It's also a media file player which can let you watch videos, movies, TV shows on the train, bus, etc. How to watch AVI videos to DS? 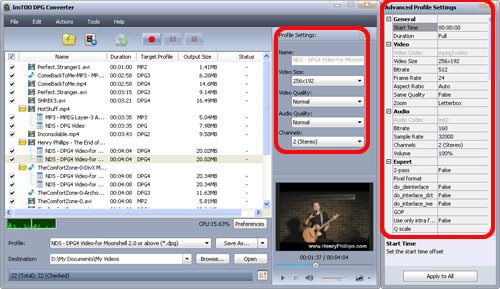 How to convert AVI files to DPG video? Here we'd like to show you a simple way to convert AVI video to DPG video which can be put and played on Nintendo DS. Note: To play videos on your DS/DS Lite you'll need a flash cart e.g. Supercard or M3. Guide: How to convert AVI to DPG? Step 1: Download the DPG Converter software. Install and run it. Step 2: Load AVI video files into the program. You can click "Add File(s)" button on the toolbar or click "File -> Add File(s)" or "File -> Add Folder" from the main menu. 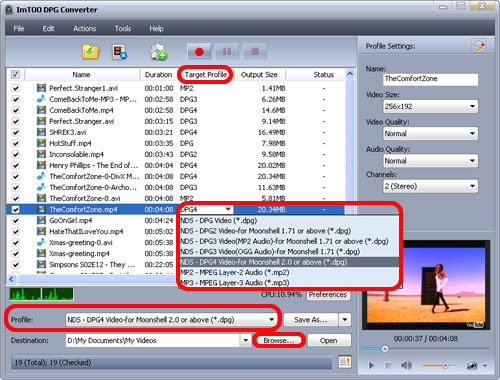 Tip: Aside from converting AVI to DPG, this DPG converter can support converting almost all video files including SD and HD video formats like MPEG, WMV, MOV, MP4, DivX, FLV, MKV, AVCHD(.mts, .m2ts), H.264, etc. to DPG videos. 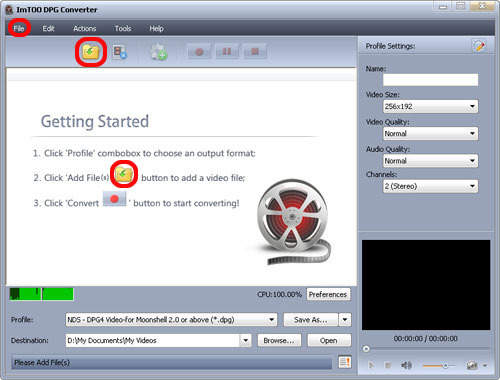 Click to highlight files you want to convert and click "Profile" drop-down list to select a video format as your output file format. Click "Browse..." button to choose the destination folder for saving your converted DPG video files. Tip: You can configure output file parameters on Advanced Profile Settings window. Step 4: Convert AVI to DPG. Just click "Convert" button to start your AVI to DPG conversion.